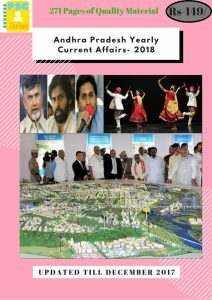 The headquarters of the Andhra Pradesh Postal Circle is all set to come up on 2.25 acres at Amaravati, the new capital city and the paper work has already begun. Announcing the development activities of the circle, he said 25 postal banks would be set in the circle in 2018 to cater to the needs of the customers. The department is keen on making use of the road transport along with the Indian Railways and has identified four major routes this year. They are Vijayawada- Guntur, Kurnool-Kapada, Tirupati-Kapada and Anantapur-Kurnool. World Diabetes Day is the primary global awareness campaign focusing on diabetes mellitus and is observed on November 14 each year. Led by the International Diabetes Federation (IDF), each World Diabetes Day focuses on a theme related to diabetes. Type 2 Diabetes is largely preventable and treatable non-communicable disease that is rapidly increasing in numbers worldwide. Type 1 Diabetes is not preventable but can be treated with insulin shots. This year’s theme is ‘Women and diabetes – our right to a healthy future’. United Nationsis set to open its first official talks on the use of autonomous weapons, including killer robots, at the Convention on Certain Conventional Weapons (CCW) for 5 days, in Geneva. The meeting is chaired by Indian ambassador on disarmament, Amandeep Gill. The discussion will also include civil society and technology companies. It will be partly focused on understanding the types of weapons in the pipeline. 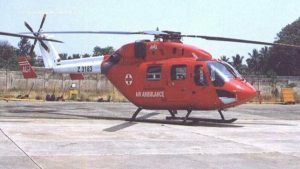 Northeast is all set to get India’s first-ever “Air Dispensary” based in a helicopter and the Union Ministry of Development of Northeast (DONER) has already contributed Rs. 25 crore as part of the initial funding for this initiative. As per the envisaged plan, Dr Jitendra Singh said, to begin with, helicopter will be based at two locations, namely Imphal in Manipur and Meghalaya in Shillong. Both of these cities have premier postgraduate medical institutes from where specialist doctors, along with the necessary equipment and paramedical staff, would be able to move into the helicopter and hold a dispensary/OPD in different locations across the eight States of North Eastern Region. To inspire, nurture and promote the spirit of entrepreneurship in tribal youth, the NITI Aayog in partnership with the US government organized India’s first Tribal Entrepreneurship Summit at Dantewada. The summit is inaugurated by MoS Science and Technology YS Chowdhary held at Dantewada in the Bastar region of Chhattisgarh. This event is an 8th Global Entrepreneurship Summit, being held in India which ensures yet another step towards tribal-centric sustainable and inclusive development. Union Minister of State for Youth Affairs and Sports (Independent Charge), Col. Rajyavardhan Rathore released the ‘India Youth Development Index and Report 2017’in New Delhi. In India Youth Development Index 2017, the five dimensions of Global Youth Development Index (Global YDI) have been retained. These five dimensions are education, health and well-being, employment and opportunity, political participation and civic participation for young people. While on his visit to Philippines, PM Narendra Modi visited the International Rice Research Institute (IRRI) in Los Banos, Philippines and inaugurated ‘Shri Narendra Modi Resilient Rice Field Laboratory’. He also presented two Indian rice seed varieties to the IRRI gene bank. IRRI is a premier research organisation dedicated to reducing poverty and hunger through rice science.